London’s supercars have been known to cause trouble for the public. Their owners oftentimes seem to think they’re above the law, driving at high speeds and making a ton of noise in the process. It’s easy to label these guys as jerks but you can’t deny that the show is good. 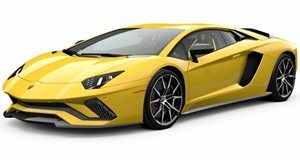 Such is the case here, where a Lamborghini Aventador equipped with a Frequency Intelligent Exhaust draws a large crowd to watch it roar. The exhaust is aptly named “Volcano.” As you’d expect it’s loud as hell and flames are spit like crazy. The Aventador stops traffic to spit flames. The assembled crowd seems to love it and no other motorists raise a stink. So, is this harmless fun or arrogance in action? We can’t call it but do know that this exhaust sounds and looks incredible.